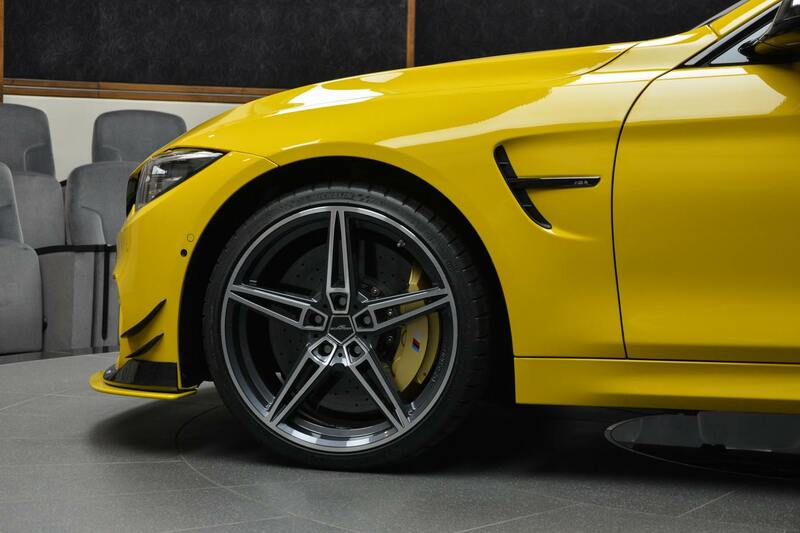 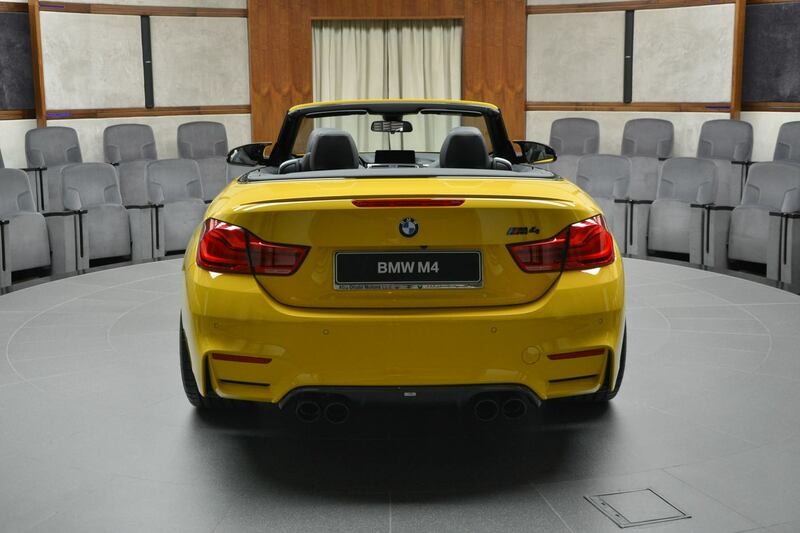 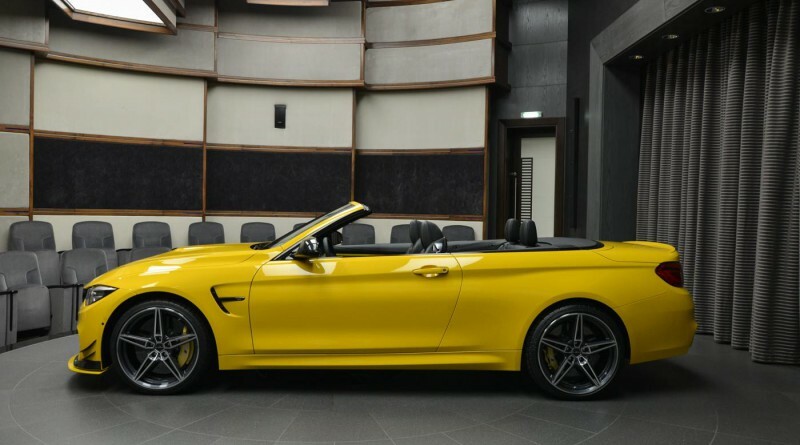 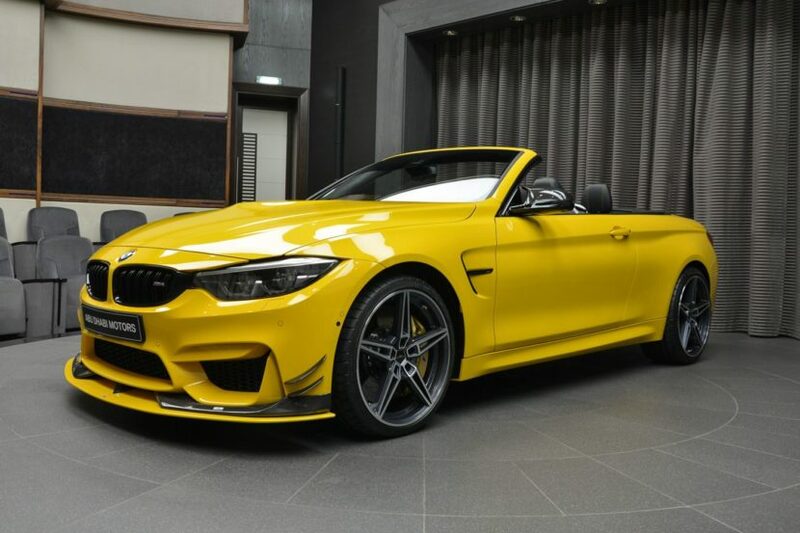 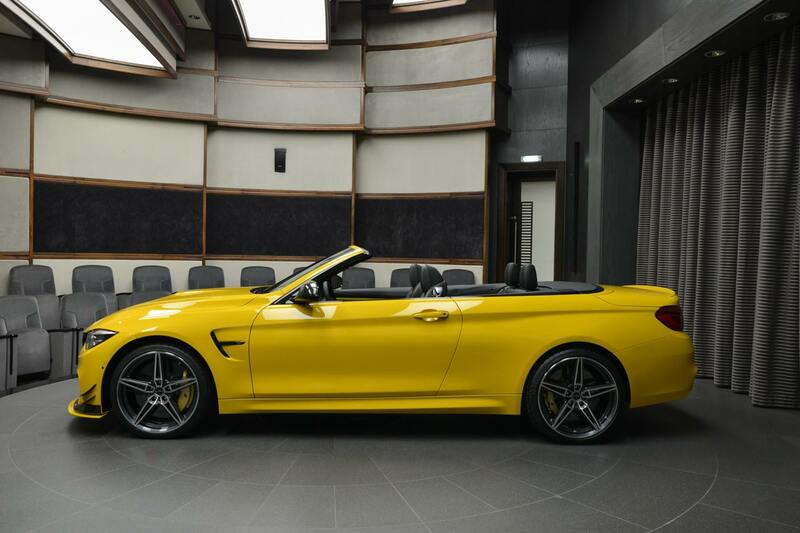 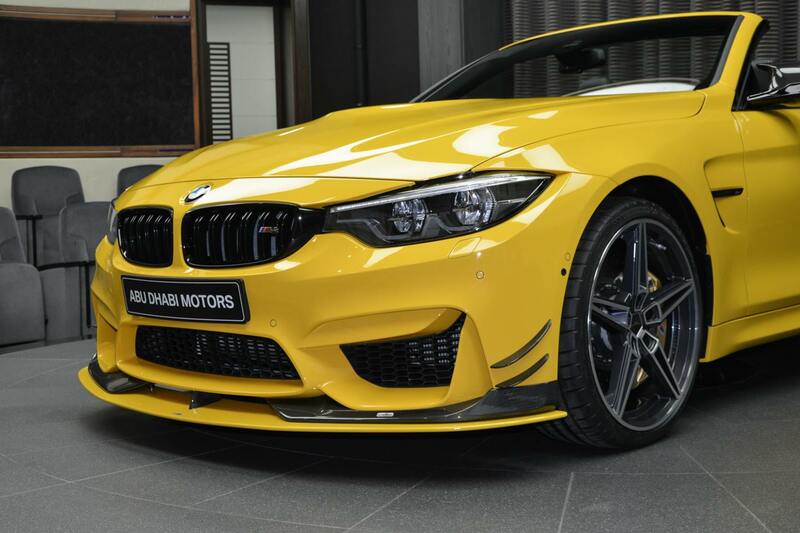 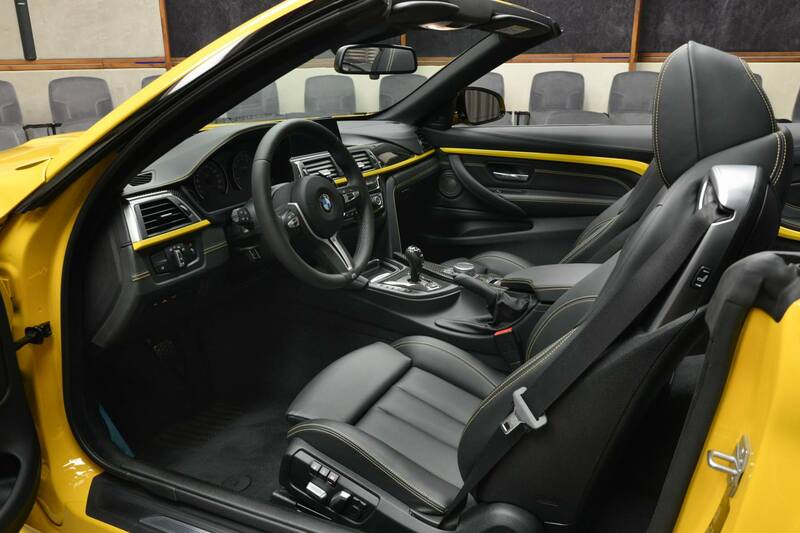 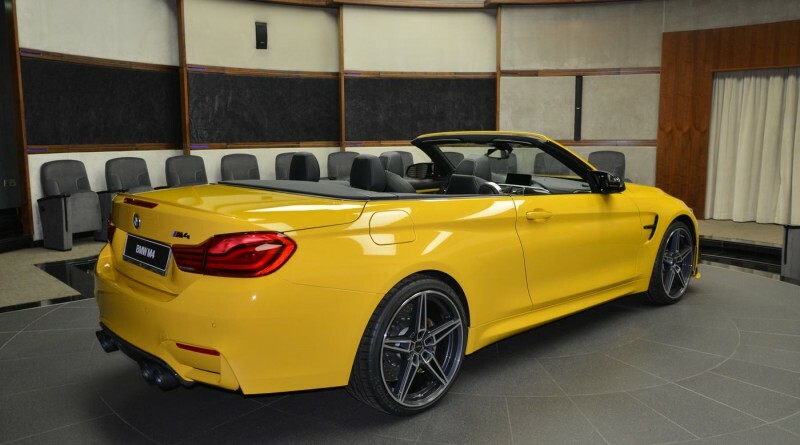 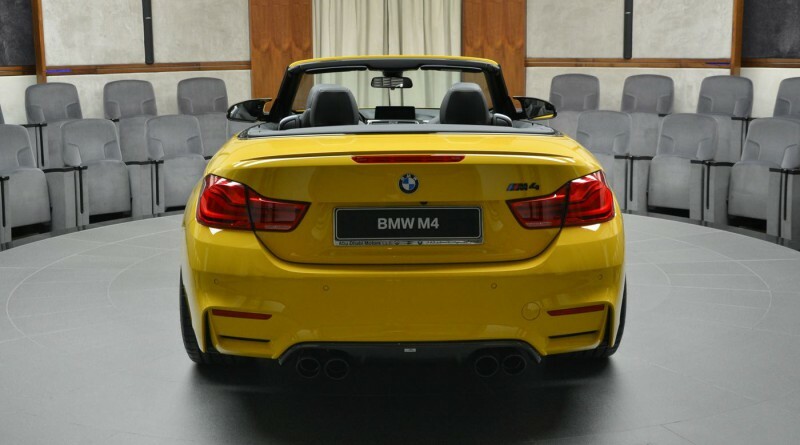 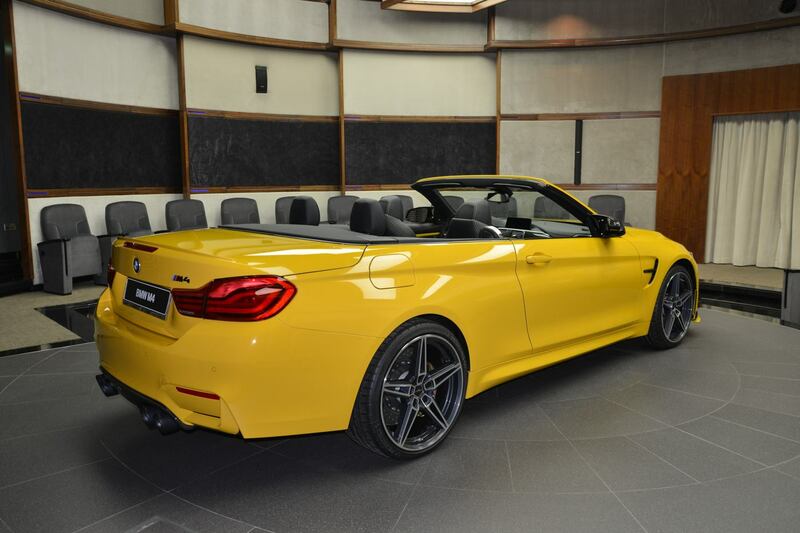 You are viewing a gorgeous Speed Yellow BMW M4 Convertible equipped with some very tasteful upgrades by the legendary BMW tuning company AC Schnitzer. 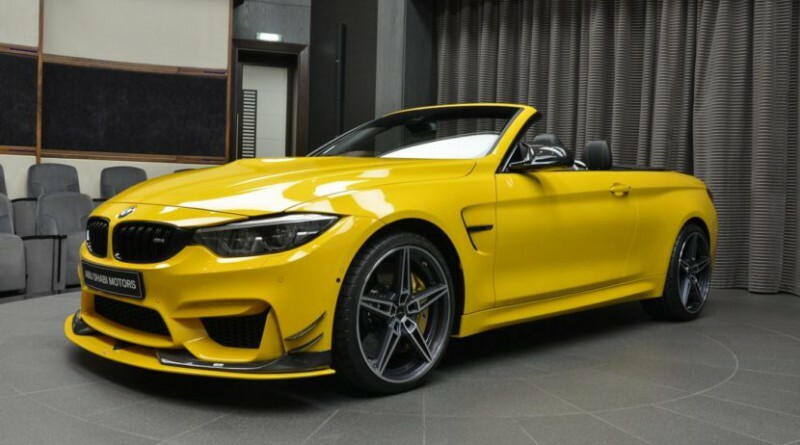 A Speed Yellow M4 will definitely get you noticed, so it’s safe to say the new owner of this car is not shy about his cars. 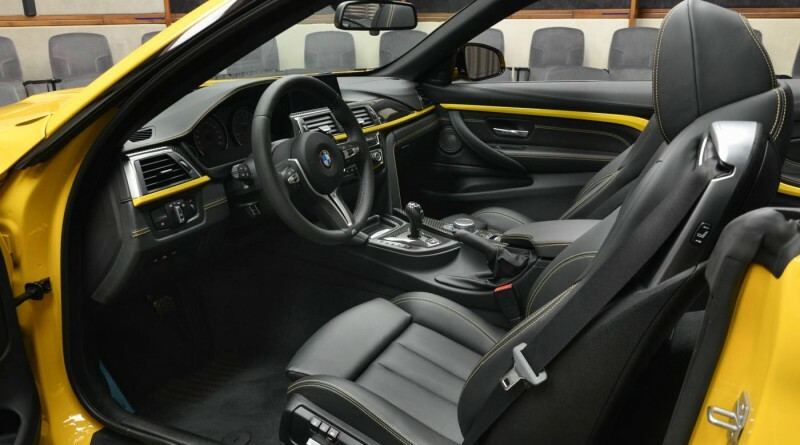 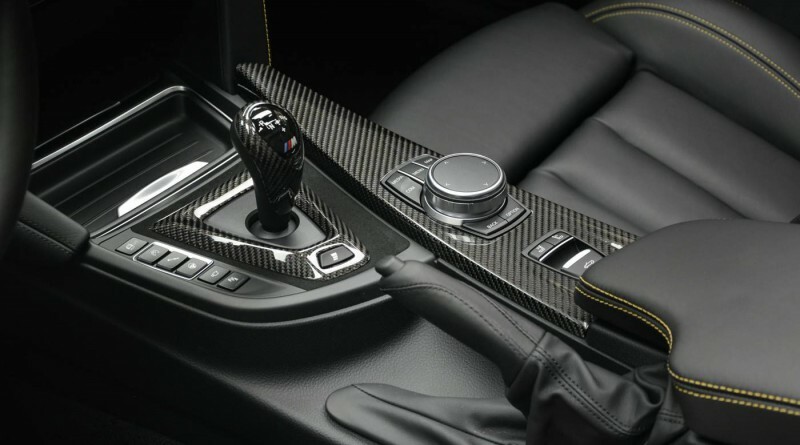 The interior is all black except for the carbon fiber and Speed Yellow trims that really compliment the car inside and out. 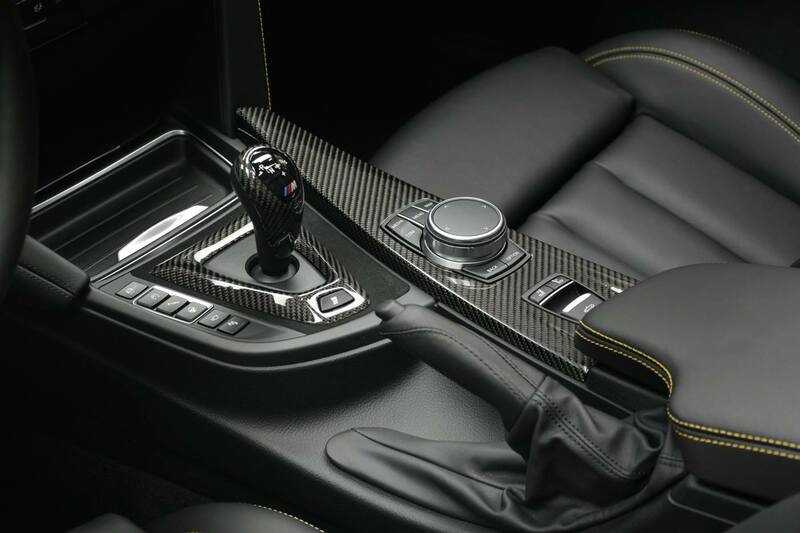 The side mirrors are also carbon fiber which adds a nice touch to the exterior as well. 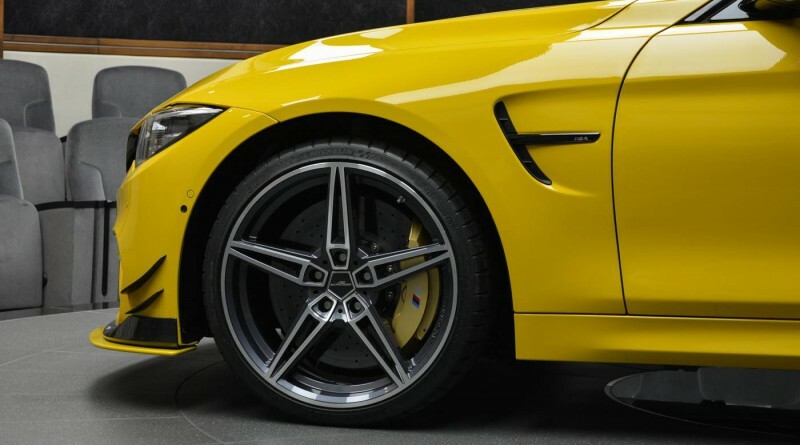 The bi-color AC1 lightweight forged wheels look amazing alongside the massive air splitter at the front also sporting Speed Yellow accents. 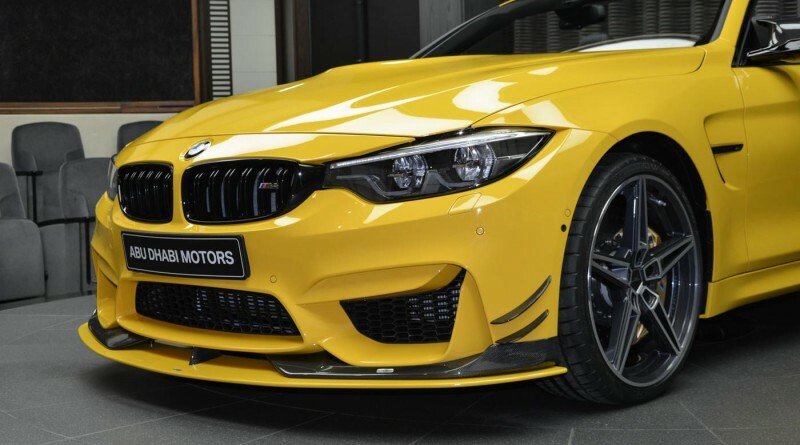 There is no knowledge of AC Schnitzer playing with the ECU map of the car, but if they did, this M4 could have over 500hp.